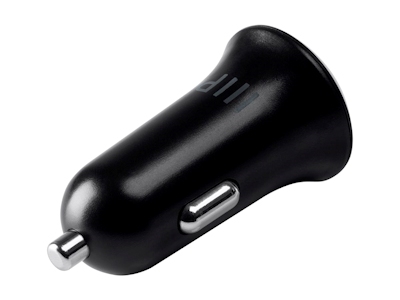 Our USB-C car charger packs 3 amps of charging power into a compact form factor, allowing you to charge your power hungry USB powered devices in less time, giving you more time to use them. The dual ports make it possible to charge both a USB-C and USB-A device at the same time, giving you maximum flexibility. The built-in over-current, over-voltage, short-circuit, and over-temperature circuits ensure that your mobile device is safe. Fast Charging: Packing 3 amps of charging power into a compact form factor, this little charger can provide a big-time charge to even the most power hungry mobile devices. 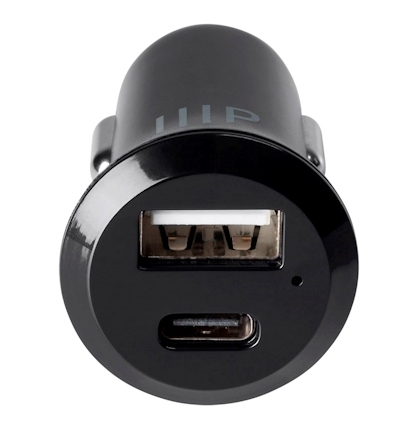 Dual Ports: Featuring both USB-C and USB-A charging ports, this charger has the flexibility to charge almost any mobile device, while the over-current, over-voltage, short-circuit, and over-temperature circuits ensure that your device is safe. Universal Compatibility: The standard USB 5 VDC output with 3A of charging power is compatible with a wide range of mobile devices, from MacBooks and Chromebooks, to iPhones, iPads, and Android phones and tablets, to cameras, GPS devices, etc.